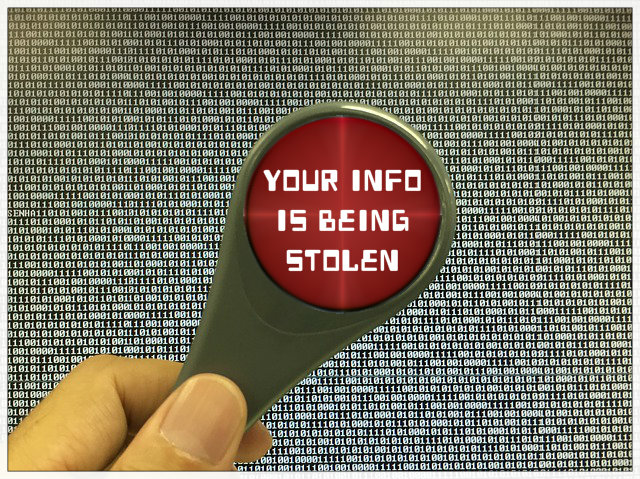 In the modern age, pick-pockets don’t even need to reach into your pocket, they just need to be near you to steal your personal and financial information in seconds. You may not realize it, but we are carrying our most personal information with us almost everywhere we go, and you could easily become a victim of “digital pickpocketing“. Whether it be our financial information or personal details, pick pockets can gather our information without us even knowing it using various forms of technology you need to be aware of. Radio Frequency Identification (RFID) is a wireless communication method that is often used for access control. This includes ID badges used to get into our garages, homes, and offices. RFID-based technology doesn’t only come in the form of a badge either. You might not know it, but you could have a credit or debit card that uses RFID to transmit account information from your card—even when you’re not shopping. These credit cards are extremely vulnerable to being skimmed by fraudsters who steal your personal info without your credit card ever leaving your pocket. Because RFID cards transmit data all the time, they have the potential to be hacked very easily. All a hacker needs to do is get the frequency of your card. They can do this by simply standing near you and using a small special scanning device to steal your info. You can protect yourself though with RFID Blocking Sleeves like the Safe Wallet Shields. The Safe Wallet Shield prevents the transmission of your RFID beyond the sleeve. When you want to use your credit or debit card, simply take it out of the RFID Blocking sleeve. This is a cheap and simple answer to keeping your personal data safe. 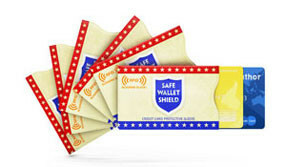 The Safe Wallet Shield will protect your personal and financial information by blocking unwanted RFID signals. Never leave the home (especially when traveling!) without protecting your credit cards in a RFID-blocking sleeve like this. Click here to get your supply of Safe Wallet Shields today. Bluetooth exploitation may sound like something out of a spy movie but it is completely real. People can access your Bluetooth device if they are skilled enough and eavesdrop on your calls. This is less of an issue with the latest encryption on Bluetooth devices, but it is still possible. Bluetooth can also be used to block phone calls, drain your battery, and access data on your phone. Bluetooth’s range is further than most people think, if a hacker has the right antenna they can hack your device from much further away than a normal Bluetooth connection. How can you prevent Bluetooth exploitation from being a risk to you? The simplest answer is to turn your Bluetooth feature off when you are not using it. This will prevent people from easily being able to connect to your phone. If your phone offers an option to prevent older styles of Bluetooth communication (less than version 3.0), then activate that feature as older methods of Bluetooth communication are more susceptible. Payment programs like PayPal allow you to pay for items easier on the internet, but they also allow easy access to our wallets and financials. Having weak passwords for websites means that they are easily accessible to others. If someone is able to get your password, they can access your account and transfer money to another PayPal account and out of that other PayPal account before you even notice it’s ever happened. First and foremost come up with a very secure password. You can use a random password generator which will give you a string of characters, or if you are worried about being able to remember that password, here are a few other tips. · Mix numbers, letters, and punctuation marks in your password. · Avoid using words that are in the dictionary. · To further secure your online accounts, look into getting two stage authentication. Many websites offer a service where to log in, you need your normal password then you will get a text message with a onetime use code to log in. Two-stage authentication helps prevent hackers from being able to gain access to your account. This entry was posted in Electronic Security, Self Defense, Survival News and tagged Bluetooth exploitation, Digital pickpocketing, RFID Hacking, Stolen Passwords on June 1, 2015 by David Adams.